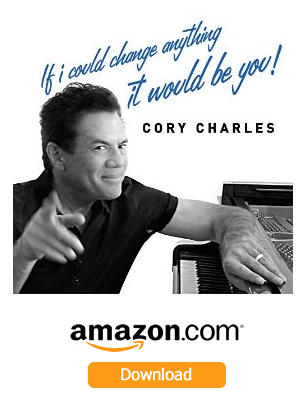 Well for starters, Cory Charles Lerios is the guy that co-penned several mega hits for the 70’s & 80’s platinum selling pop/rock band Pablo Cruise, including “Love Will Find A Way” and “Whatcha Gonna Do?”…..
He’s also the guy that wrote the world wide hit theme and underscore for “Baywatch” which continues to be an international phenomena playing in 145 countries…..and the guy that received several Emmy Nominations and won the coveted “Music Direction” award for his participation in the longest running soap in history…”Days Of Our Lives”….The Theme from Disney’s “Kim Possible” and scores for the hit TV shows, “Flipper”, “Max Headroom” and “The Land Before Time” and that’s just to name a few of Cory Lerios credits. 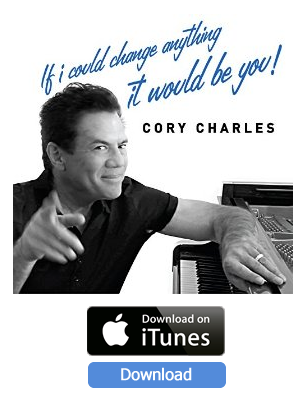 “Because my full name is Cory Charles Lerios and the fact that my last name (Lerios) is constantly mispronounced, I decided to be CORY CHARLES for my the first solo EP release titled “If I Could Change Anything It Would Be You!”. Cory’s elegant piano merges with his charismatic vocals to deliver some rather witty and humorous food for thought! In “Here’s Lookin’ At Me, Babe!” he makes it clear to whomever will listen, he has an extremely high opinion of himself: “did you say I’m an egotist, well baby I’m a full blooded narcissist” And In “If I Could Change Anything, It Would Be You”, the first single and video… he voices his frustration with the woman he loves the most, “When I Talk To You, You Don’t Listen to Me, You Just Play with Your Phone, You’re in Textacy!”…..In “Where’s the Sun”, Cory's discovered a profound solution to bring peace between he and his bride…”Baby don’t you Talk To Me, and I won’t Talk to You!” And last but not least in “Sure Feels Good” Cory takes a sarcastic shot at social media and how it empowers us all: “Some say it’s a sick obsession, I’m always online….It’s like a full time profession, but I’m not makin’ a dime”……Bottom line……Cory Charles has produced a record that is full of humor, sarcasm and truth which makes “If I Could Change Anything It Would Be You” worth checking out…..It will make you laugh, possibly cry and everything in between……! Cory Charles currently appears in his Entry Hall Nightly to an audience of one..... himself!!!!! 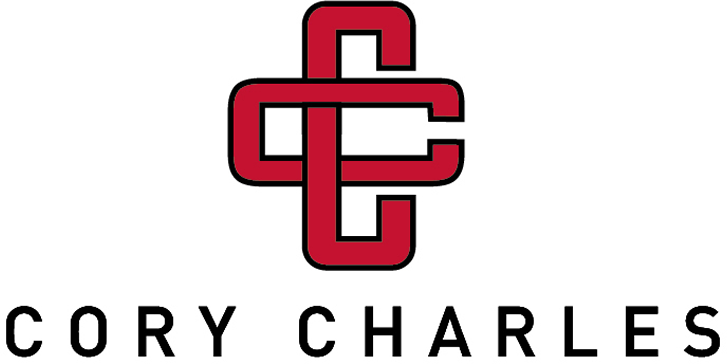 but please stay tuned for upcoming events featuring the Cory Charles Trio! 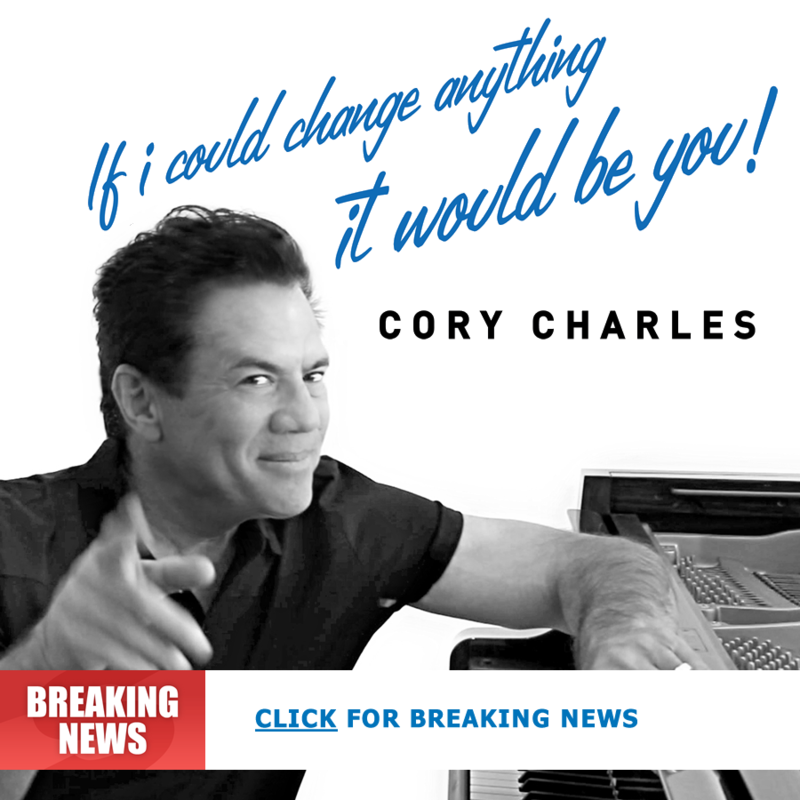 Be the first to be updated on Cory's latest songs, videos and live show dates.